Sporophytes to 1 m tall, but longer in some deep subtidal specimens. Stipe solid, cylindrical, rather rigid, up to about 50 cm long. Holdfast of branching haptera, robust, conical. Primary blade usually short, secondary blades arising from margins, smooth or spinose and /or rugose. Some populations with elongate primary blades. Sori of unilocular sporangia in patches on primary or secondary blades, apparently mainly on upper surface, but also on sides of spines. Note: Spinose forms were previously referred to E. biruncinata (Bory) Papenfuss, but the South African specimens are considered to belong to E. radiata (Bolton & Anderson 1994). The temperature tolerances of E. radiata, E. maxima and their hybrid sporophytes were investigated by Bolton & Anderson (1987). Locally common in the sublittoral fringe and rock pools at various locations between De Hoop and Port Edward, but apparently absent from many others. 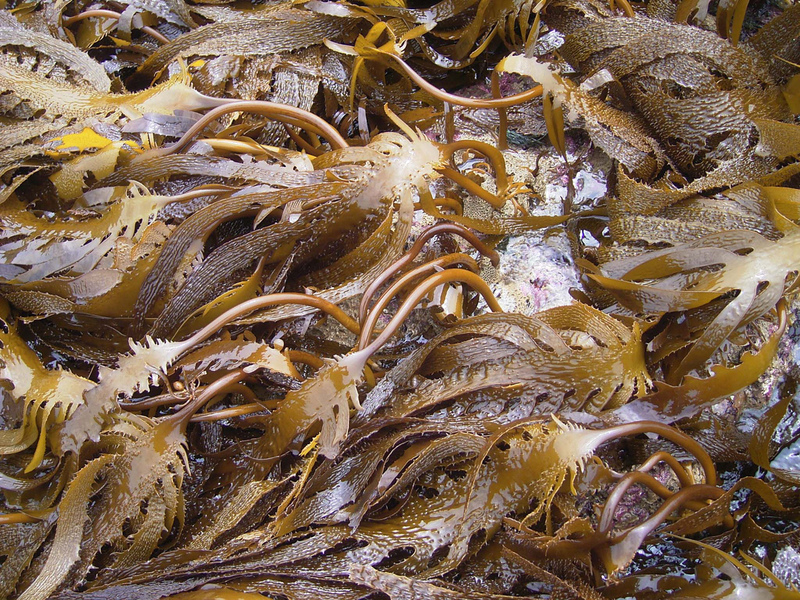 Deeper subtidal populations have been recorded in False Bay (10-30m), on the Agulhas Bank off De Hoop/Agulhas (35m depth) and as far east as off Sodwana Bay, northern Kwazulu-Natal (to 60 m) (Tronchin & De Clerck, 2005). Madagascar, Senegal (M.D. Guiry in Guiry & Guiry 2014). Type locality: “New Holland” (Australia) (Womersley 1987). Ecklonia radiata, Double Mouth, near Morgan Bay. Ecklonia radiata, Double Mouth, near Morgan Bay, intertidal population of young plants with long primary blades. Bolton, J.J. & R.J.Anderson (1987). Temperature tolerances of two southern African Ecklonia species (Alariaceae, Laminariales) and of hybrids between them. Marine Biology. 96: 293-297. Bolton, JJ, Anderson, RJ, Smit, AJ and MD Rothman. 2012. 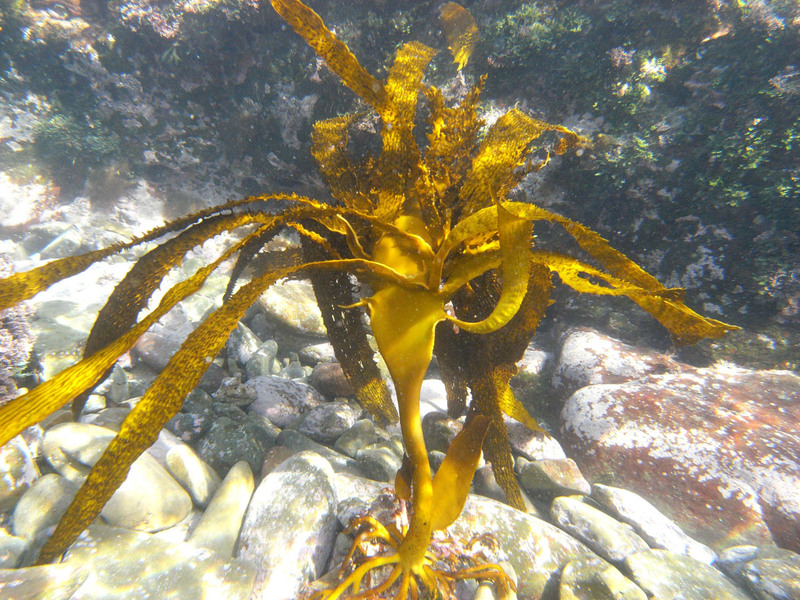 South African kelp moving eastwards: the discovery of Ecklonia maxima (Osbeck) Papenfuss at De Hoop Nature Reserve. Short communication. African Journal of Marine Science 34: 147-151.